In the search for buying a new home, the first visual impression can be a significant influence in the home buyer interest in a property. An appealing quality and condition of a landscape creates a positive attitude for a potential home buyer. 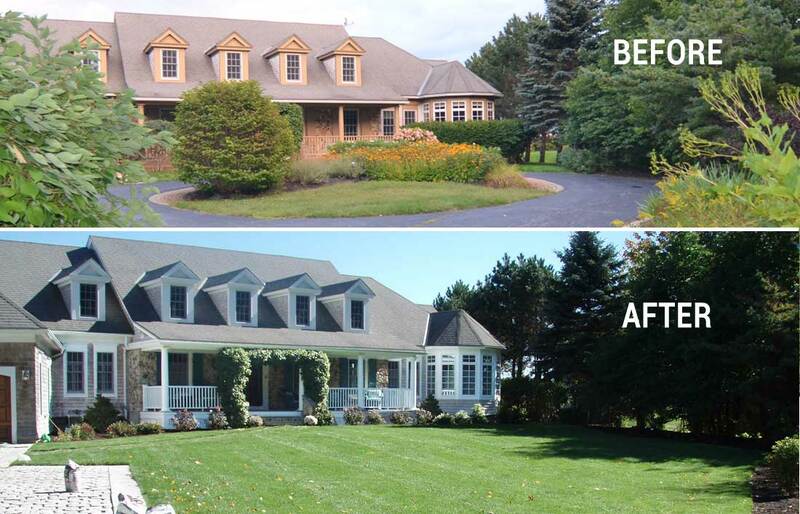 Landscaping for selling your home can make a difference in how fast it will sell. A seller may be hesitant to invest in landscape work; however, studies show that this investment can assist in the sale of a property. A landscape designer can guide a seller on what landscape work will make an appealing visual impact. There are several approaches to creating a landscape that will attract a home buyer who is primarily interested in whether the landscape needs a lot of work. The first approach is to perform fine gardening maintenance. This includes pruning shrubs and trees. Unless regularly pruned, deciduous shrubs and trees may develop “dead wood” or branches that are no longer producing any green leaves. Often shrubs and trees will develop irregular branching shape which needs to be pruned to maintain the plant’s desired shape and a neat look. Weeding, raking, edging, and mulching all garden beds enhance the initial visual impact of a well maintained property. Another approach to landscaping for selling a home is to perform landscape renovation which is often advised for the home with a mature landscape that contains plant and tree material that has outgrown their space. An example of this is overgrown plant material obscuring the front of a home and which makes the home look smaller and neglected. Although a more costly investment than the fine gardening described in the first approach, removing these overgrown plants to expose the house produces a more welcoming entrance. A landscape designer can advise on which plants should be removed and how to economically design new plantings which will increase the visual appeal for the home buyer. A third approach that works on its own or in combination with the preceding approaches is to add container planting. The container design and material should complement the house, and the selection of plants and their color should do the same. The goal of this approach is to generate a welcoming entrance to the home. Subtle plant color pallets can be very effective without overbearing color which may be too distracting. A landscape designer can advise the seller on how to integrate one or more of these approaches and implement them within the seller’s budget. In all cases, a neat landscape implies that the homeowner has invested in maintaining the property and that may be incentive for a buyer to call the realtor for an appointment to see the home.